Price online reflects using VW Credit rates of 5.9% for 60 months. (3.9% available but must forego online price). Financing specials available with approval. Some restrictions may apply. Offer valid through 4/30/19. Receive an additional $500 OFF our Website "Sale Price"; If you're an employee or retiree of a VWoA business partner or an immediate family member who resides in the same household! Please visit our Partner Program Page, or contact either your HR Department or the Sales Department for further Qualifications. NOT APPLICABLE towards the VW Golf R, or New '15/'16 TDI vehicles. 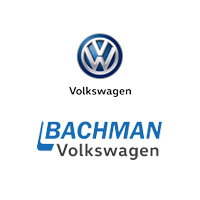 Visit the VW Partner Program page to check eligibility! Receive a minimum of $500 OFF and financing; if you are graduating within the next six months or have graduated within the past 24 months! Please visit our College Grad Page, and contact the Sales Department for further Qualifications. While the program applies to all Used & New '17, & '18 Model Years, the $500 Bonus is ONLY APPLICABLE towards New Vehicles. NOT APPLICABLE towards the VW Golf R.
Receive an additional $500 OFF our Website "Sale Price"; if you are an Active Duty, Veteran, or a Retiree of the US Military, OR a Police Officer, Sheriff/Sheriff’s Deputy, Correctional Officer, State Trooper, Federal Law Enforcement Officer, Firefighter, EMT, or a Paramedics. Please visit our Military & First Responders Page or contact the Sales Department for further Qualifications. NOT APPLICABLE towards the Golf R! Completing our online credit application. Schedule service online or see our service offers. Check out our incentives for the best deals on a new Volkswagen. New vehicle pricing includes all dealer offers. Tax, Title and Tags not included in vehicle prices shown and must be paid by the purchaser. While great effort is made to ensure the accuracy of the information on this site, errors do occur so please verify information with a customer service rep. This is easily done by calling us at (502) 493-2920 or by visiting us at the dealership. We appreciate your interest in our inventory, and apologize we do not have model details displaying on the website at this time. Please fill the form out below and our team will quickly respond, or, please call us at (502) 493-2920 for more information.